The deadly drug that’s hit Australian shores. AUSTRALIA held its first legal pill testing trial over the weekend, discovering two deadly batches and potentially saving two lives in the process. The testing was done at Canberra's Groovin The Moo festival and was a collaboration between Safety and Testing and Advisory Service at Festivals and Events (STA-SAFE), the ACT government and ACT Police. Thousands attended the festival at the University of Canberra campus, 128 of which elected to have their drugs tested. The STA-SAFE team inside the tent, which included a handful of chemists and emergency doctor David Caldicott, ended up testing 85 drug samples - uncovering a bunch of concerning chemicals. "People were surprised with the kind of stuff that we found in the drugs. We had everything from paint to toothpaste. We also found NutraSweet, which is an artificial sweetener, arnica muscle rub and milk powder," STA-SAFE member Matt Noffs from Harm Reduction Australia previously told news.com.au. 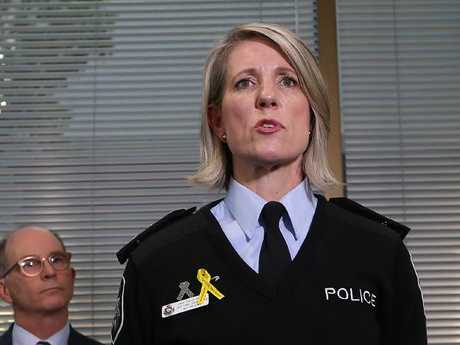 ACT Police Chief Justine Saunders yesterday called the testing a "great success", making good on the force's promise to not target those that used the tent. In a stand-up yesterday, Chief Saunders said five people had been arrested for drunk and disorderly conduct and one person had been arrested for drug possession after they were caught with 18 tablets. Another person was caught with MDMA but was diverted from the judicial system into a drug and alcohol diversion program. A spokesman from ACT Ambulance tended to 86 people at the festival - which is normal for an event of Groovin The Moo's size - and transported three to hospital. Two were drug or alcohol affected. Chief Police Officer Justine Saunders called the testing a “great success”. The most concerning of chemicals found, in terms of toxicity, was a drug called N-ethyl pentylone. The drug, a form of cathinone - known as "bath salts", is often used by dealers as a substitute for MDMA overseas. The presence of N-ethyl pentylone at Groovin The Moo is the first known time the drug has hit Australian shores. Dr Caldicott, who worked inside the pill-testing tent, said the presence of N-ethyl pentylone was particularly concerning "because it's killed people". "The drug is known to cause mass-casualty overdoses, where you can have groups of 10-20 people just dropping at festivals," he said. The person who accidentally brought in N-ethyl pentylone decided to dispose of the drug after realising the effects it could have. The stimulant can cause muscle spasms, extreme paranoia and can keep a person awake for more than 36 hours. Scientific reports on the psychoactive drug are rare and hard to come by but a toxicology report from last year confirmed a Florida man had died from the drug while it had also been responsible for dozens of hospitalisations across Europe and the United States. The drug is believed to have first hit the US in 2016, making its way across to Europe in 2017 before trickling down to New Zealand and Australia. 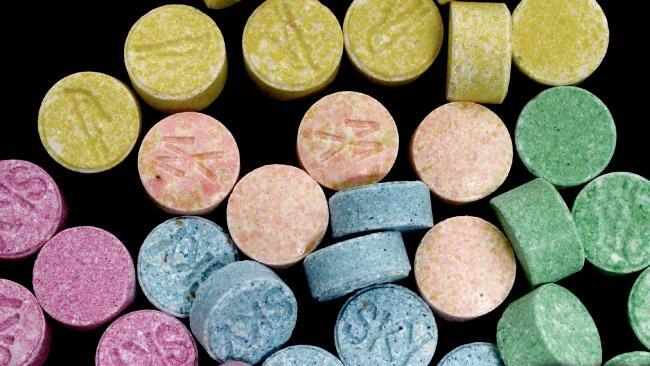 Know Your Stuff NZ is an organisation that offers pill-testing at festivals in New Zealand. The group found N-ethyl pentylone at every single festival it attended in 2017 and has so far seen it at every one they've tested this year. In February, nine Kiwis, included a 15-year-old, were admitted to Christchurch Hospital after overdosing on N-ethyl pentylone leading New Zealand police to issue a formal warning about the drug. At least one person has died in New Zealand from an accidental overdose. 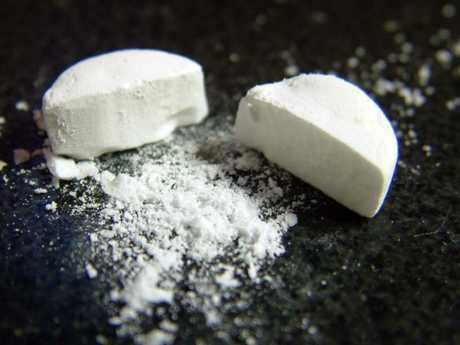 The drug is three times as potent as MDMA and if it comes in a white powder, the difference is impossible to distinguish. While N-ethyl pentylone won't immediately kill someone, people often take it the same way they would take MDMA or ecstasy, essentially ingesting three times what they're supposed to. "The issue for the public is that a dose of MDMA/ecstasy is generally 100mg, however to get the same effect only 30mg of N-Ethylpentylone is required," Detective Inspector Greg Murton said after the mass overdose. "Hence, if N-Ethylpentylone is mistaken for MDMA/ecstasy, the user will be taking three times the 'prescribed' dosage, posing a danger to themselves." Christchurch doctors eventually figured out the group of nine weren't overdosing on MDMA or ecstasy because the side effects were different. The drug can often look exactly the same as MDMA. While N-ethyl pentylone is a psychoactive drug, it has a much milder eutrophic effect or high when compared to MDMA. The most common way people have died from n-ethyl pentylone is accidental overdose often because they don't believe the drug is working and will take more of it. "People want to portray MDMA as a lethal substance but the reality is that's wrong and there's a spectrum of danger when you're looking at illicit drugs. "N-ethyl pentylone tends to be on the more dangerous spectrum of drugs, up there with PMA," Dr Caldicott said. PMA and N-ethyl pentylone are similar in that people often mistake both of them for ecstasy or MDMA. They are also less eutrophic but more toxic. "In terms of immediate toxicity, if you took 100 people and gave them [N-ethyl pentylone], that would clearly be the thing that would injure the most of them," Dr Caldicott said. Working in the emergency department of Calvary Hospital in Canberra, Dr Caldicott has become one of Australia's most vocal advocates for a harm minimisation approach to illicit drug use. Speaking to news.com.au, Dr Caldicott said young people who engaged in the pill testing were "embarrassingly grateful" after finding out what was actually in their drugs. "The response was overwhelmingly positive, I have to say I'm not sure how much of that was actually real gratitude or maybe some of it was ecstasy but a lot of young people have been hanging out for this for a really long time," he said. "Pill testing is glamorous and exciting but we sat and talked to 128 young people who had never spoken to anybody about their drug use. We were using something that they want - the results in their pills - to get something we want - to understand why they're doing what they're doing. "They've never been arrested, never seen a doctor about it. These are the invisible majority of functional drug users in Australia and these are the only people we can access"
Dr Caldicott said the most shocking part of their pill testing trial was how many people believed they were carrying MDMA. "Half of the people we tested thought they'd brought in MDMA but they realised they'd actually been ripped off and that really pissed them off. They realised their dealers had lied to them" he said. The machine used to test the samples was logged with a "library" of 35,000 different substances. The second "deadly" pill was red-flagged after the hi-tech machine failed to identify two substances in the drug. "A while back we might've thought that was an artefact but the rate at which the market evolves now, it's entirely possible that it could've been a completely new product," Dr Caldicott said. The legal testing has been lauded as a success and Dr Caldicott said "beyond a shadow of a doubt, we've proved its usefulness". "If they think young people are going to stop using drugs because people disapprove of it, they're kidding themselves," he said. 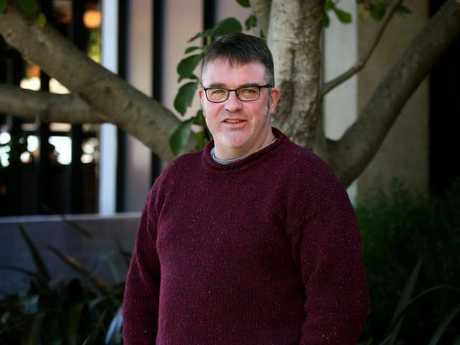 Doctor David Caldicott advocates for harm minimisation.